When’s the last time you thought about your teeth? How about the muscles in your jaw, or where your tongue rests when you’re not using it? We tend to forget about things like this as we go about our daily lives, yet all too often this is precisely where our most frustrating health issues originate. It’s surprising to learn that something as unassuming as the tongue can cause everything from crooked teeth to migraines. Even poor breathing patterns or frequent thumb sucking gradually contributes to larger imbalances, moving the muscles and bones in our face out of place one nudge at a time. Simple changes can have massive consequences later in life, but the good news is they’re easy to spot and easy to correct with myofunctional therapy. Illness and discomfort doesn’t materialize out of thin air. That headache that ruined your evening was caused by a cascade of physiological processes, not all of which are easy to spot. Some of them are urgent and short term, like noisy traffic or a nagging boss. But others build gradually from deeply rooted imbalances, starting out small and eventually turning into serious health issues down the line. No matter what ails you, the symptoms you experience are only a small part of the picture. Unfortunately, most modern treatments focus on those symptoms as the end-all path to better health. Take a pill, get expensive surgery, just make the pain stop as quickly as possible! This can be both shortsighted and ineffective, especially when it comes to tricky issues like obstructive sleep apnea or migraines. Patching over pain leaves the underlying cause intact, allowing it to emerge later on as a brand new set of issues to deal with. A better solution is to tackle symptoms at their source, which is exactly where myofunctional therapy comes into play. Myofunctional therapy examines the physiology as a whole, paying special attention to the structural elements of the mouth, jaw, and face as well as their relationship to the rest of the body. It’s completely non-invasive, and it helps create better awareness about our own physiology for total wellness from the inside out. Myofunctional therapy deals directly with orofacial myofunctional disorders (OMD), which are disorders of the muscles of the face and mouth. A host of physiological processes have their origins in this part of the body, as well, everything from breathing to chewing, swallowing, talking, even overall feelings of health and wellness. Myofunctional therapy works through a process called neuromuscular re-education. We use this to train the facial structures to perform as intended, dropping harmful movement patterns or improper resting positions and returning the muscles to a state of balance. Below are a few of the common disorders we frequently work with alongside their associated treatments. Sleep apnea – Myofunctional therapy can reduce symptoms of some breathing-related sleep disorders, including obstructive sleep apnea. This involves retraining of the tongue and muscles in the throat and face to reduce airway obstructions while laying down. 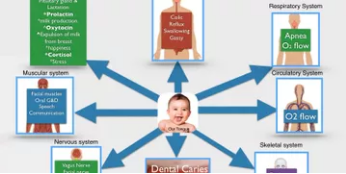 Dental issues – Abnormal bite patterns, malocclusions, and even crooked teeth can be caused by orofacial structures. We retrain the jaw to use a healthy movement pattern and focus on tongue position to eliminate them at their source. Speech problems – Lisps can develop from an OMD. By re-educating the lips, tongue, and jaw to better articulate sounds, we can eliminate many common speech issues. Some of the other issues we work with in myofunctional therapy are centered around the tongue. This simple bit of tissue controls how we breathe, how we chew, and even how we speak, all thanks to its location at the center of our head. It’s the CEO of our body, yet the only time we consciously put it to use is to taunt each other on the schoolyard playground. By working with tongue positioning and other muscles in the face, myofunctional therapy can diagnose structural imbalances and work to repair them over time. Tongue thrust, for example, is a common condition where the tongue stays forward while swallowing. It affects as many as 67-95% of children, most of whom never benefit from correctional therapy. 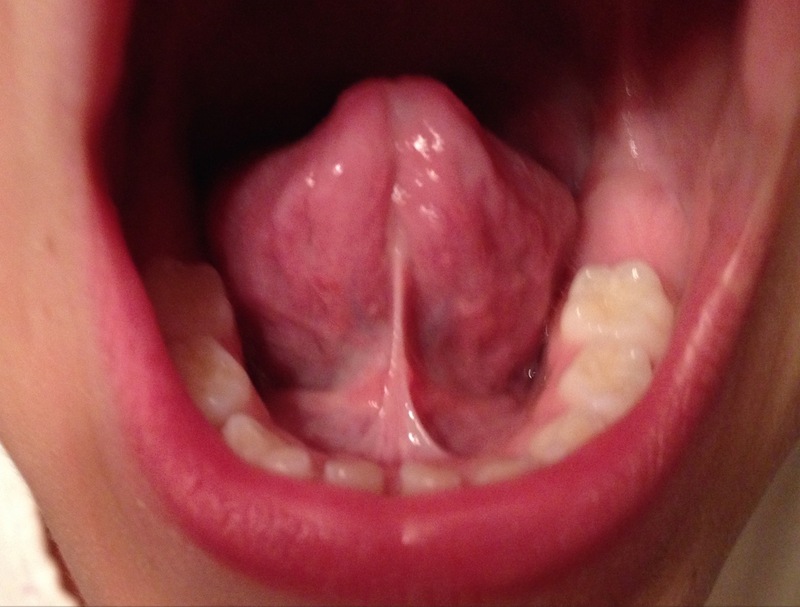 Left untreated, tongue thrust can change the way a child’s face develops as they age, creating a weak chin, buck teeth, or permanent open bite. Other common issues associated with tongue thrust and facial muscle imbalances are listed below. Myofunctional therapy can successfully diagnose and treat these conditions and many more, all without harsh medications or expensive and painful surgery. Myofunctional therapy is safe and gentle, well-suited for patients of all ages. It can help children learn to correct their mouth breathing, assist adults having a hard time sleeping, and even boost a teenager’s confidence if they’re suffering from TMD. Best of all, myofunctional therapy’s focus on prevention means a little work now can correct future issues before they even arise. Whether you’re suffering from headaches or just a general feeling of malaise, an important first step in the healing process is to locate the root cause. Myofunctional therapy starts by establishing a baseline of imbalance by discussing issues with the patient and performing a manual examination. Every illness is unique, each patient different from the last. There’s no such thing as a one size fits all solution in myofunctional therapy. Once the causes have been established, it’s time to get better. Treatment plans in myofunctional therapy generally involve an exercise plan aimed at strengthening weak muscles in the face and allowing out of place structures to return to their proper position. They also include awareness practice to help you spot bad habits and train yourself to eliminate them one day at a time. Myofunctional therapy works on a wide spectrum of issues by zeroing in on the causes, not focusing on the symptoms. Fixing underlying imbalances boosts the body’s ability to maintain its own state of wellness. It’s like removing a clutch of sticks and leaves from the river. Once the obstacles are out of the way, water can flow freely. Another benefit to myofunctional therapy is how it can tackle more than just a single symptom. Patients will come in complaining about one issue only to find their therapy has enriched other areas of their lives, fixing problems they had simply learned to live with. Side effects? Not here, just side benefits! If you’re looking for answers to your oral or breathing problems, we can help. Get in touch today to set up an appointment, or send us an e-mail to connect. Want to learn more about how the tongue can affect your health? Our book Please Release Me – The Tethered Oral Tissue Puzzle is a great place to start!